Although they didn’t go on to win the whole thing, I think most can agree that it wasn’t expected. A few weeks of training wouldn’t have been enough to go from a dodging elimination through a technically to besting the strongest team in the house. But they certainly came close. Depsite the opposition, FLIPSID3 managed to make it to the quarter final, only losing out to Immortals – the team that went on to win the whole thing. GG, FLIPSID3. You’re going places. All the Valor Series E3 VODs are available here. The title says it all with this one, honestly, but it’s still worth a quick mention. Announced during a highlight reel in Nintendo’s rather disappointing E3 Direct, Arena of Valor’s Nintendo Switch version is now scheduled to launch in Fall. While we’re expecting the second beta event to kick off in the next few weeks, the full game won’t be arriving in time for Summer vacation. To whet your appetite a little more, here’s some Nintendo Switch gameplay featuring one of AoV’s many mascots – Krixi. The footage came from the February beta, so we’re hoping many of the UI elements have been improved since, but you can still pinpoint some of the major graphical changes that but the Switch version ahead of its mobile counterpart; like the sunshafts at the respawn, the lush blades of grass making up the brush, and the little fireflies dancing around the trees of the jungle. Beta sign-ups are still open, so make sure to fill out the form for your chance to give it a whirl before release. All that stressful competition had to mean something for the rest of us. Teased through the usual homepage animation, Arum ‘The Conjurer’ joined the AoV roster today. A unique ‘lifesteal’ tank, Arum harnesses the power of her spirit animals to sap the life from her enemies. The conjurered spirits can join forces to become a large lion that charges forward for additional effects depending on how many spirits make up its core. Her tanking strategy seems to revolve around her ability to steal life from the team, placing her in a position to really take a beating in the battle. Her ultimate locks her and a target enemy hero into a type of statis where neither can move or attack. Damage inflicted on one is replicated on the other, meaning the enemy team will struggle to graze Arum without killing their trapped ally. It seems like the perfect opportunity to snare the opposing AOE while stood right in a powerful AOE move. We’re not sure how much people care about the FIFA World Cup this year, but Valhein is ready to support the game as a whole. 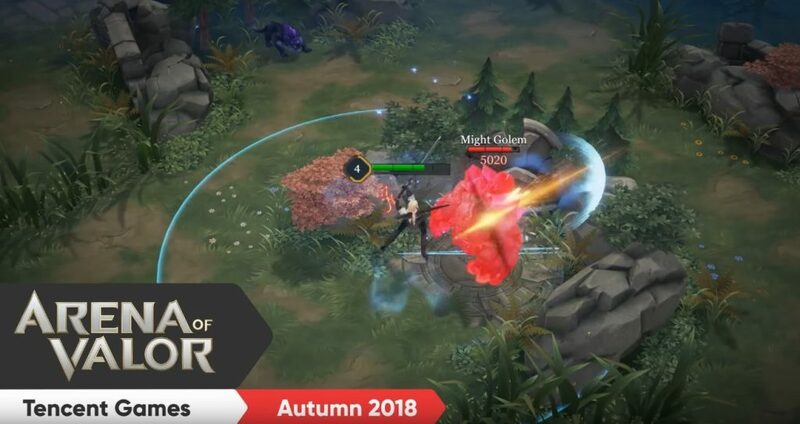 Shown off through a big skin leak video a few weeks back, we should have known Goal Machine Valhein would arrive in time for the biggest event on the soccer calender. From now until Monday 18th, you can grab the Goal Machine Valhein skin for a mere 100 vouchers – around 400 less than the cheapest skins on the store. 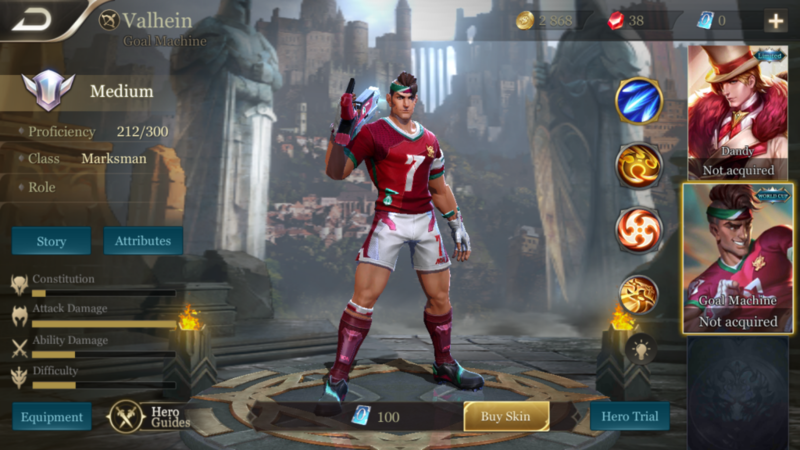 It isn’t the flashiest skin available for popular pick, but Valhein’s status as the game’s introductory character means the large-scale appeal of the skin tied with its tiny price tag could see Valhein act as a gateway drug to the whole game for those soccer fans who may have heard of Arena of Valor through this week’s E3 final. 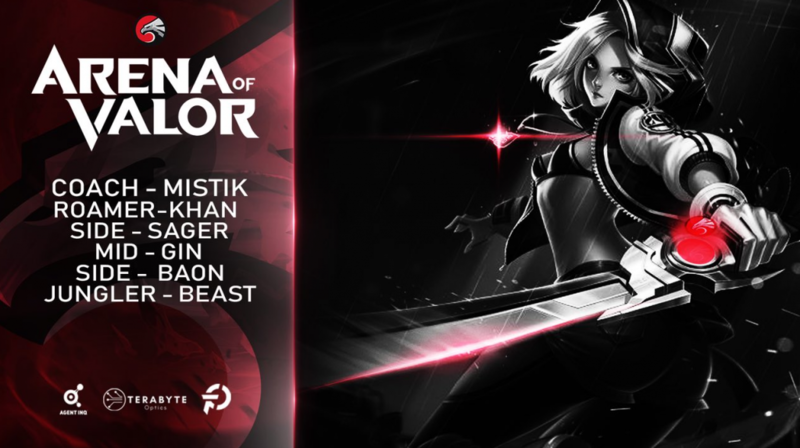 Further cementing the idea that Arena of Valor is growing outside of Asia, Nightless, a well-known Esports organisation, recently announced plans to jump into the AoV competitive scene with their own team. With the Valor Series now officially over, leaving only the AoV World Cup to go, there isn’t much competition for Nightless to jump into right now. That’s why their announcement tweet specified that they’ll be competing in whatever comes after the AoV World Cup event next month. The ESL Go4 Cup may have closed its doors, but the increasing popularity of the game should see no shortage of worthwhile competition in the months and years to come. Now we just have to wonder how the potential platform divide of the game’s Nintendo Switch version may complicate things. Clear that up, Tencent. We really need to know these things! Judging by the YouTube viewer counts, not many of you tuned in to the Arena of Valor Caster School. And that’s a shame! Take a quick look at it and you’ll likely be impressed by the production values. Everyone’s skin is amazingly smooth (yes I fixated on that), and the whole thing is shot in 60fps. At only 15 minutes per episode, it’s an easy watch on a lunch break or when you just need a bit of down time. With three episodes already live, the final should go up sometime today (so keep checking here). 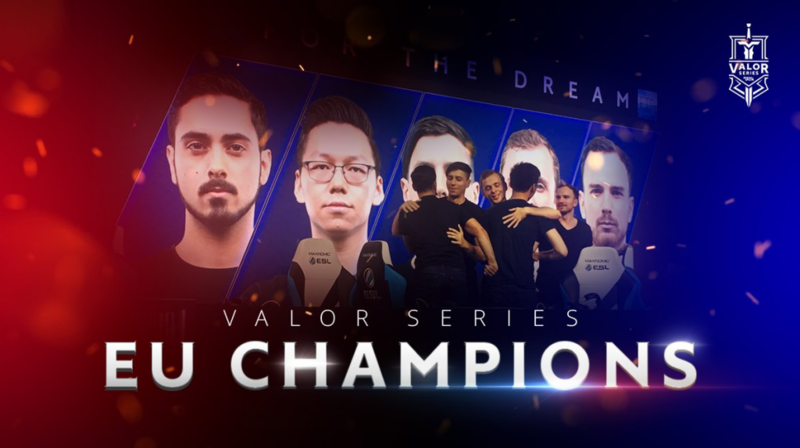 If you tuned into the Valor Series E3 final this week, you’ll likely already know who comes out on top, as the prize for making it to the end of the show was a spot on the caster team for the event and beyond. We’re not going to spoil anything here, but for those who might already know the winner, the Caster School series can act as a bit of an origin story for someone who may have become your favorite caster during the E3 event.